154 Hidden Court: Drunk. A southern tale of loss. I mean lost. Drunk. A southern tale of loss. I mean lost. 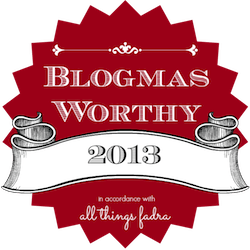 I had shiny new post all set to go for today, but because of circumstances - vague, yes I know - I decided to repost this gem instead. Write a post inspired by the word: lost. "I never know what I think about something until I read what I've written on it." I was reading novels by age six, had read everything in my elementary school's library by age nine, and for many years, had a career in retail bookselling. My house looks like a library threw up all over it. My kids know that they can always tear me away from Facebook with a request to read to them. They smell good. They feel good. Sometimes, if you're really drunk and lick them, they taste good. So it only makes sense that when I was in college, I took a lot of upper lever, good-excuse-to-brush-off-Physics-homework-because-this-is-for-CLASS literature classes. One of my favorites was a Hemingway/Faulkner seminar, which was led by not one, but two of my favorite professors. I had discovered the joy of William Faulkner in high school when I read Light in August for the first time. Joy. Pure joy. Faulkner was brilliant, and tortured, and alcoholic, and even though I didn't understand two-thirds of it, I thought it was wonderful. 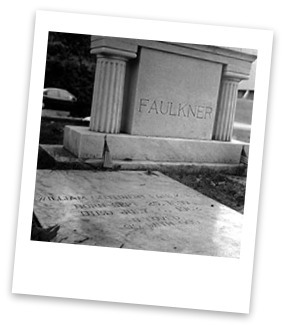 When my Faulkner class planned a trip to Oxford, Mississippi to visit Faulkner's old haunts and stomping grounds, I was in Heaven. I felt so... smart. So... in touch. Clearly, no one had ever understood Faulkner the way I did. It was like we were soul mates, and if being soul mates with a long dead Southern author of questionable mental facilities and obvious alcoholism was your thing, then I was your girl. We spent the first day touring the old Faulkner homestead and visiting the gravesite, and dinner was at a quaint local restaurant where the Prof procured large amounts of wine for the mostly underage students - gasp! After dinner, we were left to our own devices and were planning to meet up again at 8am the next day for breakfast and to visit the loveliest bookstore in all the world. Having never been a drinker and feeling the effects of the wine, several of us decided to pay Steve, the legal-alcohol-buying-aged Teacher's Assistant, to go to a nearby liquor store for us so we could continue the festivities. Alcohol in hand, drink on, we decided to trek across town to revisit the cemetery and maybe sit around Will's grave and be brilliant and tortured. As an aside, I'm pretty sure TA Steve pocketed most of our cash and bought us the cheapest large vats of alcohol available, but that's another story. Anyway, we made it to the gravesite, and sat around saying things that were brilliant and funny only to us. After all, we were ACADEMICS. "Yo Momma is a fish" was one particularly amusing anecdote that made its way around the group about fifteen million times - and by the way, have you ever tried to say "Yoknapatawpha" three times fast while drunk on rotgut whisky? I thought not... We sat for hours, sharing our liquor with Will (read: pouring it onto his grave), quoting his work, and finally around 2am, decided to call it a night. We were on our way back to our rooms when the story gets fairly interesting, for me anyway. For some reason, and I'm fuzzy on the details - imagine that - I decided I needed to tell Will one final thing, and with an assurance of "Go on, I'll catch up," - famous last words if I've ever heard them - I split up from my group and backtracked to the grave. I guess I told Will what needed to be said, and tried to catch up to my friends. It was 3am, I was in a cemetery in an unfamiliar city, I was drunk, and I was LOST. Drunk + Lost = Really Bad News. I'm not really sure what I did the next 5 hours. I have vague memories of magnolia trees and unfamiliar street signs. I have no memories of encountering anyone at all. What I do remember is waking up the next morning, in my room, still drunk and running WAY late for breakfast. I made it to breakfast, unshowered and wearing most of the previous day's outfit, drank some coffee and stumbled through the rest of the day. No one from my group remembered seeing me after leaving me at the cemetery. How I made it back to the room is, and always will be, a mystery. But the good news is, I learned some really important lessons that night. 1) Never mix wine and hard liquor, 2) Never trust a TA named Steve to pick out your alcohol and 3)Never, ever wander around Oxford, Mississippi at 3am without a wingman. These are lessons I'll take with me to the grave.